Garage floors are not often cared for even though they are used on a regular basis. Since garage floors are made for heavy-duty usage, repairs are not often needed. But once your garage floor shows signs of problems, you need to hire professional local garage floor repair contractors near you immediately. This is to ensure that the problem will not get worse and your vehicle will not have problems in its tires. This is particularly true if your garage floor can cause the tires to be punctured or be parked in odd angles that can cause the tires to lose air sooner than is normal. Having your garage repaired takes time and money. Hence, you need to ensure that you are hiring the right repair team for the job. 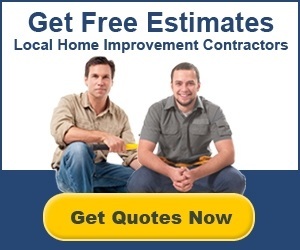 This is to ensure that the money you are spending on hiring professional repair contractors will be worth it. This will also guarantee that you won’t have to have your garage floor repaired soon after the initial repair has been done. Here are some things that you should expect from a professional garage floor repair company. These will help you set your standards and keep you from hiring repair experts that obviously won’t be able to do a good job in mending your garage floor. Garage floor repair professionals should start by inspecting the garage. The first step in repairing a garage floor is inspection. This is done even before you choose which team to hire. Companies offering their service will inspect the area and draft estimates that will show the problem and the repair methods to be used in correcting the problem. The materials that will be used are also indicated in the estimate. These can only be drafted when proper inspection of the area is made. Unless you send photos of your garage floor online, you should expect a personal inspection prior to receiving estimates. Reliable companies that you find online will still do personal inspection of the area. Thus, you should expect this from anyone offering you repair services. Do not sign the repair contract if the inspector did not assess the problem and just gave you an estimate for the repair. Cleaning the area should be done properly and thoroughly. When inspections are done and proper repair methods are planned, the area should be readied for repairs. The area should be cleaned thoroughly, especially if you have concrete slab flooring that will require resurfacing. The new concrete mix will not adhere to the old flooring if the area is dirty. Dust will also prevent adhesives from sticking to the surface of your flooring. Regardless of what type of flooring you have, cleaning the area properly should be the first step that repair experts should not skip. Sealers need to be removed prior to resurfacing. If your concrete garage floor has a sealer, it should be removed prior to repair. It is noticeable since the water sprayed on the floor during cleaning will not seep into the floor but will form small marbles on top of the floor surface. It is important to note when you notice this so that you can see if your chosen repair team will remove the sealer. If you know that there is sealing in the concrete and it is not removed by the repair professionals prior to repairs, you need to ask them about it. This will ensure that your newly repaired flooring will not suffer from the same problem shortly after the repair is done. Garage floor experts need to determine the cause of problem. Of course, the cause why your garage floor is damaged should be determined by the repair team. This will ensure that they are using proper repair methods and are using the right products for your flooring. Determining the cause of the problem will also help prevent future problems. Since the cause of the damage in your flooring is determined, proper measures can be taken to keep your garage floor intact. Unless the cause of problem is due to the age of the flooring, the cause of the issue should be determined before starting the repair. This will also prevent further problems from appearing, which can be caused by improper repair methods used on the floor. Reinforcement should be suggested by experts to improve the floor’s lifespan. If your garage floor is not reinforced by the initial installers, the repair team should suggest reinforcement. This will keep the garage floor from getting damaged from the weight of your vehicle, which will result in a stronger floor and lesser repairs. If you have a concrete slab garage floor, you can opt for either a rebar or mesh reinforcement. Rebar is often more affordable than mesh reinforcement; hence, if you are looking for a cheaper option, you might want to look into it. As for garage floors made from paving or tiles, the layers underneath the surface flooring should be improved to ensure that the floor will not sag and cause the flooring to break or crack. The cost and difficulty of repairing a garage floor will depend on the type of flooring you have and the extent of damage. Concrete slab repair will cost you around $3 to $5 per square foot at a starting price. Depending on the specifications of your repair, that cost can go higher. Paving garage floors will cost you about $5 per square foot for the brick materials plus $500 to $1,000 or more for the labor. It is important to note that average costs of garage floor repairs will not exactly reflect the cost of your own project. Since every project is different, you need to consider the problems of your own garage and the materials used in building it. Your location will also affect the overall cost of the repairs so it is best to talk with garage floor repair contractors to determine if the costs are consistent and are not too cheap or too expensive.